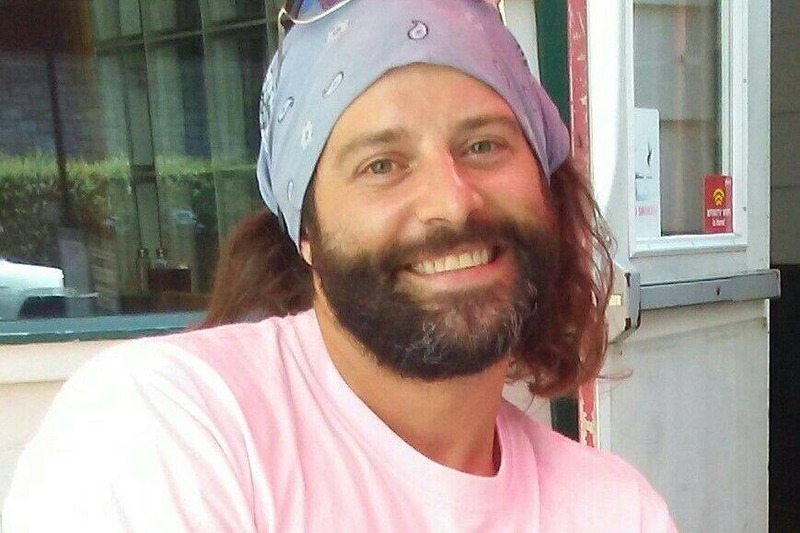 James Victor Tegethoff, aged 36, passed on April 4th, 2019. James, beloved son and brother, was born September 23rd, 1982 at Latrobe Hospital. James graduated from Indiana Area Senior High School in 2001 and the Indiana University of Pennsylvania in 2007. James was proud of his hard work in construction and the hospitality business. James was a happy, high-spirited boy who grew into a happy, high-spirited man. James’ charisma, humor, kindness, and strong-will were admired by many. James, a self-taught musician, loved to write music and entertain. His warm smile and mischievous, boy-like energy made him loved by children, whom he was happy to strum a guitar and sing a song with. Jim was a beloved father who loved to play, sing, dance, swim, play cards, bowl, and care for his daughters. James is survived by his daughters: Jaelynn Tegethoff, age 9 and Neva Polito, age 10; his siblings: William Tegethoff, David Tegethoff, Erica (née Tegethoff) Chawla, and Stephen Tegethoff; and his parents: Eric and Julie Tegethoff. In the end, James faced his crippling injuries, hearing loss, and tinnitus with sobriety and courage. A public visitation will be held Tuesday, April 9th from 6:00-8:00 PM at Koch Funeral Home, 2401 S Atherton St., State College, PA 16801. A funeral mass will be held Wednesday, April 10th at 11:00 AM at Our Lady of Victory Catholic Church, 820 Westerly Pkwy, State College, PA 16801. Afterwards, James will be put to rest at Meyer Cemetery, 1704 Buffalo Run Rd, Bellefonte, PA 16823. Refreshments will be served at a private residence afterwards. In lieu of flowers, a gift to the family to help with funeral costs would be appreciated. My family would like to thank each and every one of you for the outpouring of love & support that we’ve experienced in countless phone calls, messages, hot meals, child care, and gifts. They have held us up during the whirlwind the past five days. Your compassion has held us up. Compassionate. Goofball. Charismatic. Fearless. Charming. Larger than life. There are so many words and ways to describe my big brother. I can not possibly recount all the memories he’s created with those he loved. And he loved us all. A people-person through and through, he loved you because you were a human, just like him. And he was gifted with an ability to tap into that humanity and kindness with nearly all he met. James had more charisma and charm in his little finger than most people have in their whole body. You know, we had such a hard time finding a picture of Jim for the obituary. Why? Because his face was happily squished up to another person’s face. He had an ease and affection about him. He was lovable. And loving. James brought home a box of abandoned kittens he found on the road as a teenager. He didn’t want to see them suffer. We kept two of them. One of them, Bradley, was a beast of feline. A supreme hunter. Long and brawny and black. He was the lion of house cats. And when Jim went missing on Thursday, I thought of Bradley. I thought of Bradley because that cat sustained injuries, just as Jim had, and he walked away from his home, just as Jim had. He found a beautiful place, just as Jim had and he went on, just as Jim had. Jim, in his death, didn’t want the people he love to suffer. He didn’t want them to remember him as anything other than that supreme person, which he was. He was supreme. Jim had so many close scrapes with death, one might think he had nine lives, just like a cat. Jim had a rare blood immunity that prevented him from contracting Hepatitis C. Jim, despite not a lesson in music, could listen to a song and after an hour or two of practice, perform it. Jim could get into a fight with you, literally go to blows, and then be crying and hugging you in the same one hour. Jim was given so many talents and gifts. Jim loved without reservation. He said I loved you by blowing an air kiss or telling you a joke or listening to your story or writing and performing a song for you or giving you a hug. Jim struggled, though. He struggled with living in a world that wasn’t as understanding or compassionate as he thought it should be. He struggled with feelings of anger, especially in his youth, about the injustice of life. He struggled with letting go of the things and people he loved that moved on and passed on. Jim made lots of mistakes, like we all do. His just were bigger than most. He was bigger than most, literally and figuratively. On the night he was struck brutally outside a bar in Bellefonte after walking away from a fight, he was at his physical prime. He had been working construction, lifting cinders and concrete blocks. He looked like it. The biceps. The shoulders. His body was as big as his personality. And then, it was taken. He was in a coma for 48 hours. He sustained injuries that were typically only seen on a corpse. The audiologist said his case of hearing loss from such a blow was a one in a million case. Just like Jim. One in a million. By all accounts, Jim should have died on August 31st, 2017. But, that wasn’t to be. He lived. And he lost his hearing. One of his greatest gifts was being able to listen to a room, feel out a room, and play a song for it. To help those people enjoy a bit. That was taken. And while Jim made many big mistakes in his life, a homicidal one was never on the list. Jim didn’t deserve that. He didn’t deserve to be attacked. Yet, he forgave them. He forgave his attackers. Can you believe that? He did. There was no malice in his heart when he left this world. He didn’t do it to hurt anyone. He just knew this world had given him a shot and he missed. He owned up to his mistakes in the end. And I respect him for that. He also knew this world couldn’t fix the position he was in. He found his breaking point. No one wants to imagine their breaking point. No one wants to imagine what 24 hours of cacophony in your brain feels like. The tinnitus was unbearable. For those of us who watched him languish and suffer these last 19 months, we know that this was no life. His eyes would bulge in pain and confusion, a man brought to the brink. So, he left. He left broken, but sober. He left in pain, but not despair. He had hope that God would receive him. And he has. At last, the perfect lover of humanity, Jesus, can embrace James. Jim’s suffering is done. His redemption is in hand. As my father says, “God calls his favorite children during lent”. So don’t pity him. He wouldn’t want that. He wouldn’t want you to pity him. He’d want you to pity the people who do not live with love. Go love.